Ana Ruiz (née Acosta) joined our firm in mid-2011 and works as a paralegal assistant and all-purpose office assistant, helping our team to organize and use the information and evidence that we need to try our cases and handle our matters. She is a highly motivated, capable, and practical assistant who is fluent in English and Spanish, and she is trained and highly proficient in computer technology and all manner of digital devices and applications. She also excels at organizing computer files, old-fashioned files, and anything else that requires organization. 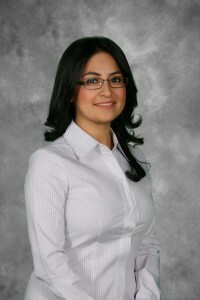 You can reach her directly at aa@markhamlawfirm.com.